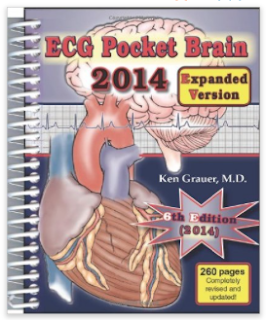 As of 9/1/2017 — I am gifting the 4 books shown below to ALL participants at my CEI (University-at-Sea) ECG/Arrhythmia Workshops. Participants need not bring anything to the course — as these 4 books will serve as the primary handout material (with advantage that all participants then have user-friendly pocket-sized books to take home for their own review/reference materials). Selected written materials (that you may print out if you desire) — are posted at THIS LINK in my Dropbox. 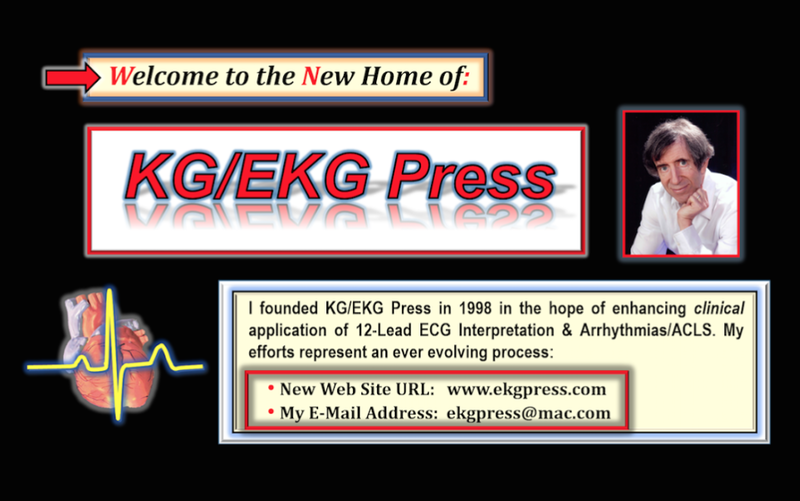 My ECG BLOG (www.blogecg.com) and ECG VIDEOS (www.videoecg.com) — provide extensive Review Material that is freely available on-line. 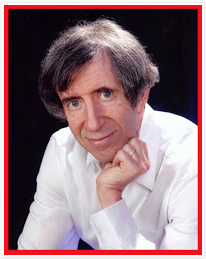 Be sure to click on the INDEX in the upper right of each page of my Blog for detailed linked content. ECG-2014-Pocket Brain Expanded book (navy blue). 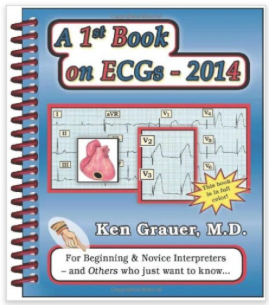 A 1st Book on ECGs-2014 (baby blue). 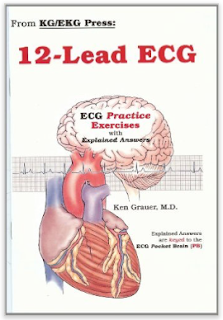 12-Lead ECG Practice Exercises (white). 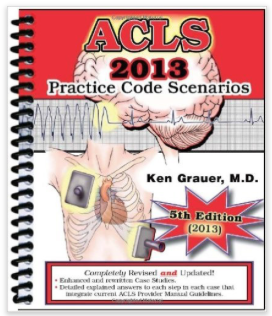 ACLS: Practice Code Scenarios-2013 (red).